Netflix is my go to source for stand up. With low production costs and high re-watch value, Netflix is pumping these specials out as fast as they can and there is something for everyone to enjoy. Getting started with stand-up comedy can be a bit daunting though. With so many options, so many styles and voices present finding a good start is no easy task. To make that first step a bit easier here are the Three Big Bs of stand-up comedy; Bamford, Buress and Burnham. Each offers a distinct difference from the other, each are at the top of their game in these specials and each is hilarious (which is priority one). Check any of these out and soon you’ll be down the rabbit hole, spiraling out of control consuming all the stand-up comedy you can handle and then some. You’re Netflix suggestions, and your summer nights, will thank you. 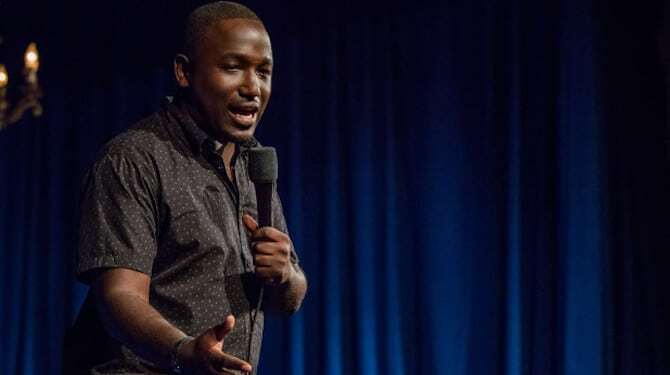 Buress is the iconic road comic offering highly relatable stories (until they very much are not) in humorous ways. He is all about the audience and plays the crowd to perfection sensing when a joke has gone too far, pushing a bit further, and then pulling back to win the audience over. He comes to the special with a classic style, pacing the stage to read the crowd. He adapts as needed and you can see him working the routine like a tiger stalking prey. Hannibal is simply amazing to watch. This special is for those who want a bit of edge to their comedy. 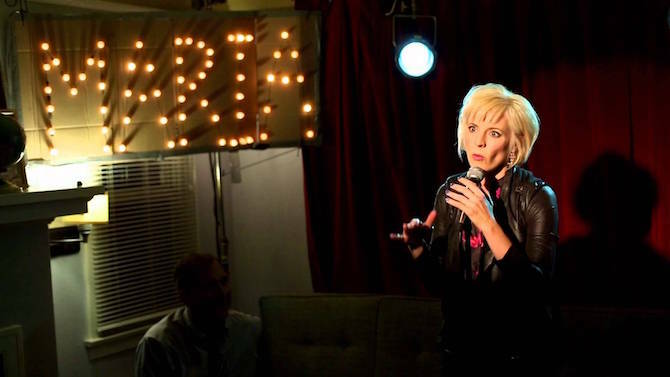 While not a Netflix Original, Maria Bamford’s special is a fantastic primer for her absolutely stunning series Lady Dynamite (we reviewed that right here). Bamford is the comedian’s comedian. Right off the bat she throws the special format aside by filming the entire hour in the front room of her parent’s home. There are two audience members, the first two audience members most stand-ups ever have; mom and dad. A keyboardist sits to her right, a pizza delivery happens, a fuse is blown, cameras are constantly in the shot; it is an absurdist send up of the format from the get-go. While it would be enough to watch Bamford make her parents laugh for an hour, she delivers a routine full of humor, amusing voices, and Paula Dean jokes (the special filmed in 2012). This special is for those looking for something a bit quirky. Burnham does not stop during this special. There’s a mix of rock star and comedy darling to his performance. Burnham began his comedy career on YouTube with hilarious and sharp witted songs. The influence of his origin is readily apparent as he banters with the audience and races from bit to bit to keep the audience always on the move. He uses parody, creates in-jokes for the audience to keep ahold of, pop culture satire and puts on a show more like a concert than the other specials listed. This special is for those who want rapid entertainment.